Jake Brannon explains the significance of different denominations of coins left on the headstones of soldiers. While “Cleaning of the Stones” at the National Cemetery in Holly, I noticed a quarter placed on one of the stones. Later I also noticed a nickel placed on another stone. I was so touched with this that I took pictures. (sorry the nickel did not turn out). I googled about the coins, and found this out. I am very proud to share this. 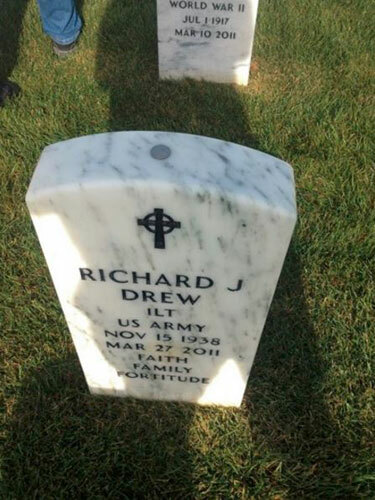 A coin left on a headstone lets the deceased soldier’s family know that somebody stopped by to pay their respect. the Archives of Never Yet Melted in the 'Customs' Category.